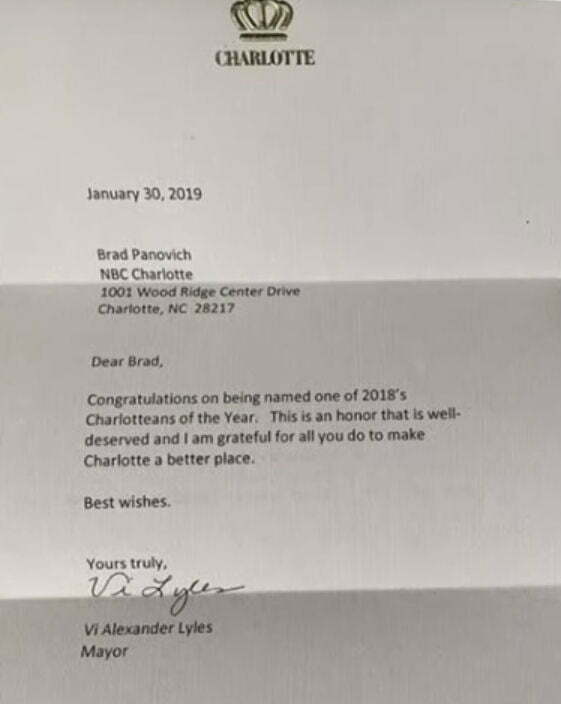 Home News Announcements Our Brad Panovich Named One of the Charlotteans of the Year! Our Brad Panovich Named One of the Charlotteans of the Year! Brad doing what he does in the community! There's a reason he is a Charlottean of the Year. 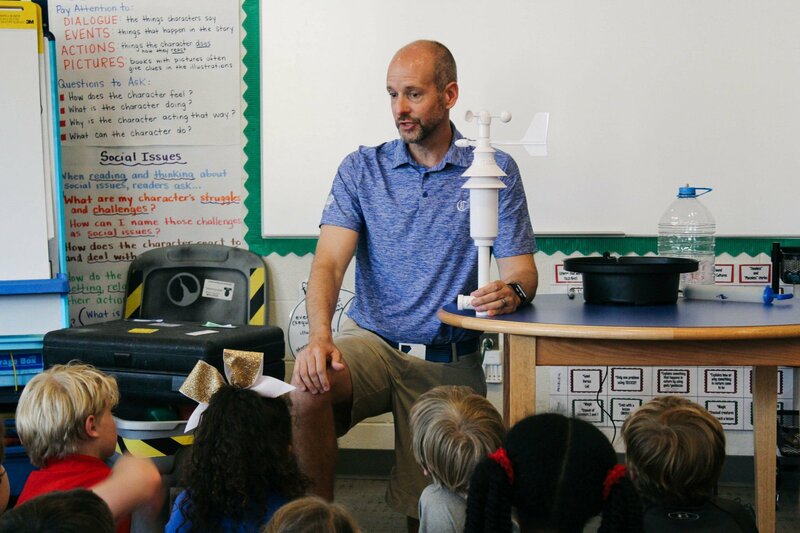 Mayor Vi Alexander Lyles of Charlotte has named Meteorologist Brad Panovich as one of the Charlotteans of the Year. 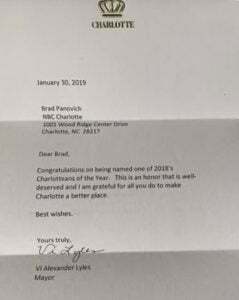 Brad was proudly (and rightfully so) posting the letter that he received from the Mayor herself, dated January 30th, 2019. He was actually honored with the award at the end of the year for service to the community and for, as the Mayor said, “Making Charlotte a better place”. Brad is the Chief Meteorologist for Charlotte’s NBC affiliate, WCNC Newschannel 36. 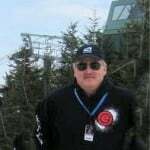 Those of you who follow this website also know Brad to be our very own, snow-loving, official meteorologist for SkiSoutheast.com. Brad is a tireless worker, rarely saying ‘no’ to about anything he can do for the community and region as a whole. He often works 12-15 hours a day and then he’s ‘playing’ into the night by providing Skier’s Forecast videos for us…as well as connecting with his following via Facebook, Instagram and Twitter that exceeds 280,000! 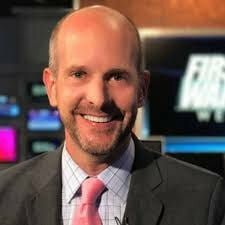 Charlotte’s television audience loves Brad for his experience, expertise and honest reporting. We love him because when everyone else in the region may be forecasting unrealistic snow totals, Brad will bring clarity and efficiency in his forecasts. We’ve shared this before, however for those new to SkiSoutheast – Brad knew as early as six years old, growing up outside of Cleveland, Ohio, that he wanted to study the weather. He was already reading everything he could get his hands on about anything related to the weather as he had aspirations of being employed by the National Weather Service. However, around the time that he graduated from Ohio State there was a hiring freeze so he then found himself on the path to television meteorology. We’re glad he did…and we’re blessed to have him as a part of our team.